How about CNBC and their affiliate base? You know the drones that made the Olympic Rings during the opening ceremony (even if it was prerecorded) NBC got them to do one with the Today Show logo during rehearsals. Maybe I’ll try to find a screen capture. 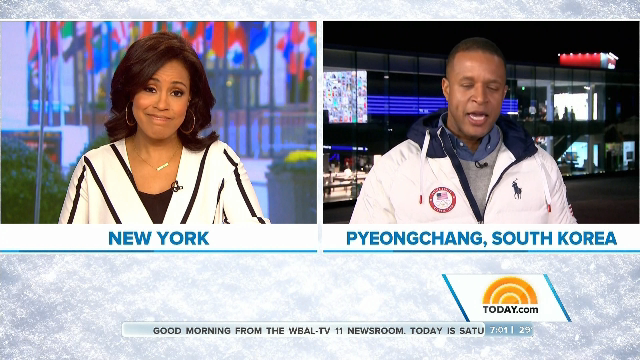 As for Today the Saturday edition is split with Sheinelle Jones at 30 Rock and Craig Melvin in Pyeongchang. The show actually originated from their largest insert studio (the same one Wake Up With Al used). Sheinelle sat in front of the 103” monitor showing a prerecorded plaza backdrop. 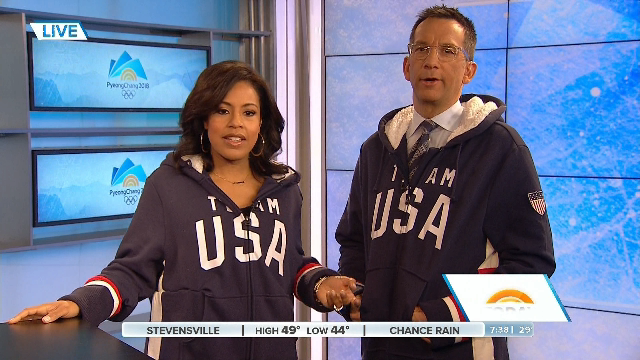 The only way you noticed she wasn’t in studio 1A was during weather and bits with Dave Price from WNBC when you saw the rest of the studio. Okay, here's one video I was able to get done tonight as it was the first one transferred and transcoded from the .TiVo format. 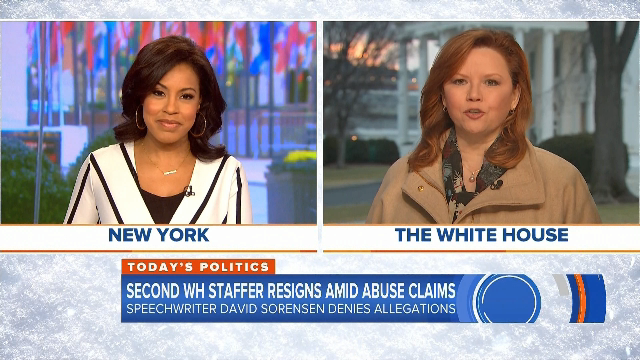 This shows the NBC News Special Report ticker that is used during breaking news that is major enough to warrant a ticker but not enough for a full on special report. The ticker appears at the bottom of the screen (but I edited it to avoid YouTube automatically removing it) and squeezes the program feed upwards. If a local affiliate is inserting their own logo on screen it will stay in the position it was. Edit : I spelled something wrong. It is being fixed. Edit 3 : The video was taken down due to violating community standards and was considered spam. I am appealing the decision. However I reposted it to Twitter and can be seen in this post. Sorry for multiple posts. It gets a pain to edit them after a while. Here's a peak at Today's graphics and the insert studio that Saturday Today used. Like in Rio they edited the ticker space that the affiliates use. 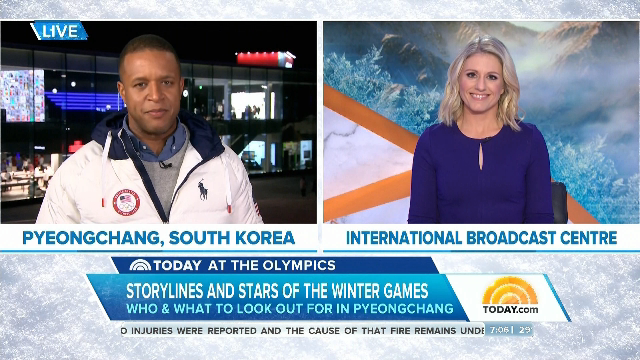 The affiliates did not have to change any of their settings rather the Today team changed the backdrop for the affiliate text to overlay. So my special report ticker video was removed from YouTube because someone marked it as spam. Well I reedited the video to include another special report ticker from the previous year and uploaded it to Twitter. I made a video containing each half hour show open along with some other program elements. It's currently being uploaded to YouTube but should be available soon. Hopefully it won't be taken down - the only Olympic content that was included was the highlight clips that were used in the cold opens of each block. The money and production that they put into The Today show is outstanding from a British perspective. The theme sounds majestic. 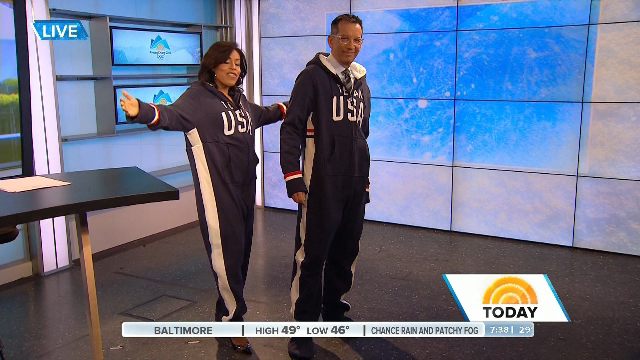 Is that NBC's Winter Olympic theme?